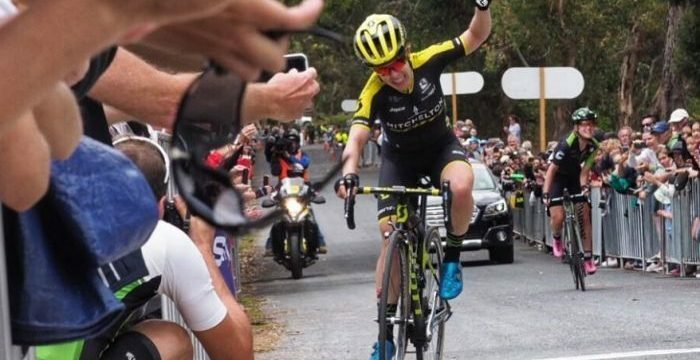 Congratulations to the South Australian Government on its inspired decision to offer equal prize money for the Women’s Tour Down Under pro cycling race. As the men’s edition of the race was wrapping up on the weekend, the Sports Minister announced that his Government would add extra cash to the prize pool. I believe this is a first for women’s professional road cycling, where the women usually earn way less in prize money even for similar races. In last year’s Tour of Flanders race, the women’s prize money was reportedly 1,100 euros, compared to about 20,000 euros for the men. Prize money for the Tour of Flanders, along with the Amgen Tour of California and other top-tier races, is determined by the sport’s governing body, the Union Cycliste Internationale, or UCI. South Australia’s Sports Minister Leon Bignell sought permission from the UCI before making the announcement. 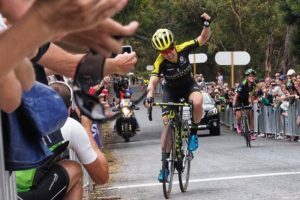 As you’d expect the female peloton, and especially those who have benefited most, like overall winner Amanda Spratt and stage winner Nettie Edmondson are thrilled with the decision. Amanda said on Twitter “Wow, not that I needed any more reasons to love Tour Down Under. What a huge step forward for equality”. Nettie said “A HUGE step forward for women’s cycling! Thank you, Australia!! (Namely Leon Bignell, Tourism South Australia and the SA gov’t!) #proudsouthaussie”. This is the same government/race organiser that dropped podium models a few years ago. Another great step. The Tour Down Under certainly hasn’t suffered for that decision. And while I’m on my soapbox, I’d also like to commend the organisers and commentators for calling the race the Women’s Tour Down Under, rather than using the very outdated, patronising term ‘Ladies’. What is your take on the equal prize money for the Women’s Tour Down Under? Share via comments or the Women Who Cycle Facebook page.